Whoa! 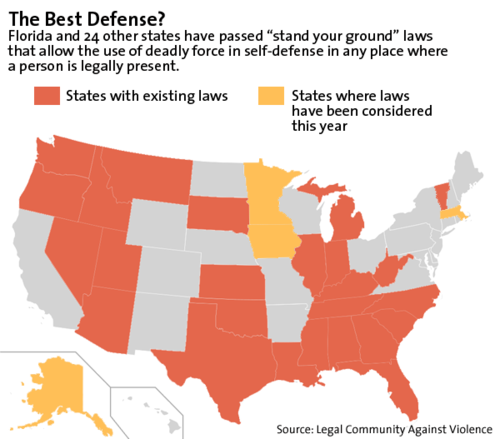 Michigan is a Stand Your Ground State? Source. Signed by Jennifer Granholm back in 2006. I'll take a purely speculative guess and say that 'Stand your ground' laws don't seem particularly bad on paper. You are allowing armed, law-abiding the right to stand up against criminals. Everyone loves that, right? Unfortunate, I can't imagine the current political atmosphere in Michigan will be repealing the law anytime soon either.